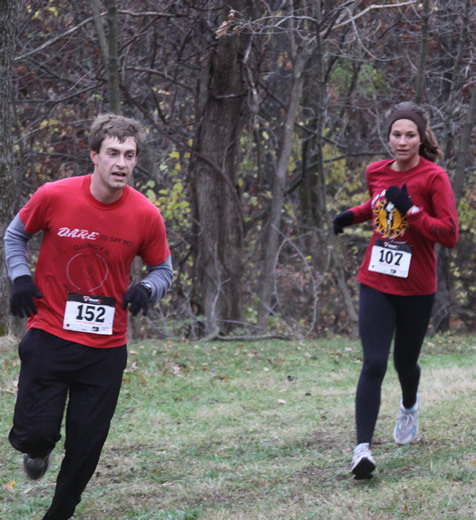 Hannibal, MO – The 2011 HLGU Trojan Turkey Trek, held on Saturday, November 5 was once again a success. The slightly foggy morning did not deter the 129 runners and walkers who participated in the 7th annual “TTT” 5K Run/Walk and Kid’s Fun Run on the campus of Hannibal-LaGrange University. Runners came from surrounding communities, Missouri (St. Louis and Kansas City) and Illinois. The “TTT” 5K Run/Walk and Kid’s Fun Run are annual events sponsored by the missions department at HLGU. 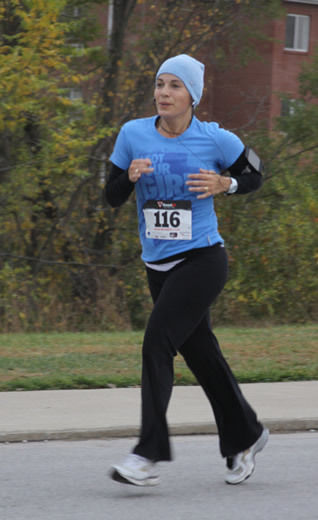 The 5K Run/Walk began at 8:30 a.m. on the grounds of the Mabee Sports Complex followed by the ½-mile fun run for kids. 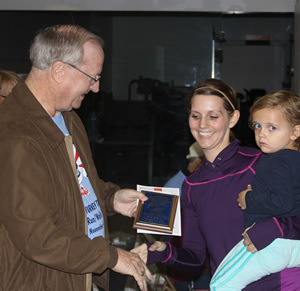 Overall winners Janelle Strother (25:14) and Scott Hoover (15:51) accepted the coveted and symbolic frozen turkey along with their first place plaque award. Overall alumni winners J’Nell Lee (26:41) and Ben Strother (24:14), overall male master winner Jim Humphreys (24:47) and overall female master winner Jennifer Young (27:44) took first place honors in their respected category. 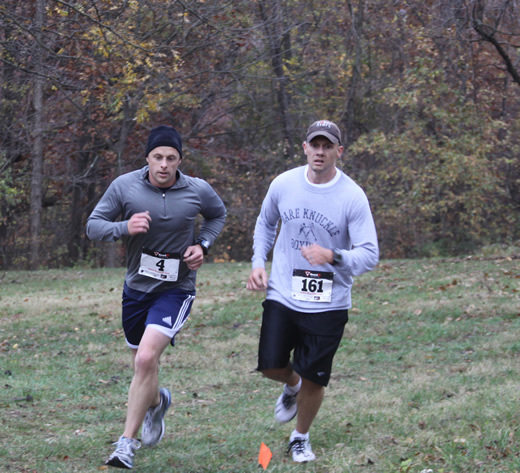 The Trojan Turkey Trek is a fundraising event for the HLGU Missions Department. HLGU has been nationally recognized and awarded for the mission emphasis of the University. Students have opportunities each semester break (fall, Christmas, spring, and summer) to participate in missions or service projects locally, nationally, and internationally. 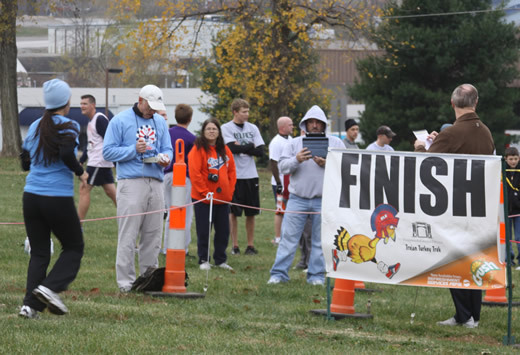 The Trojan Turkey Trek will help to offset student fundraising endeavors. Mark your calendars for next year’s trek: Saturday, November 3, 2012. For more information regarding the Trojan Turkey Trek, please contact Marisa Brown-Ellison at mlbandkids@yahoo.com or the HLGU Carroll Missions Center, at 573-629-3195.